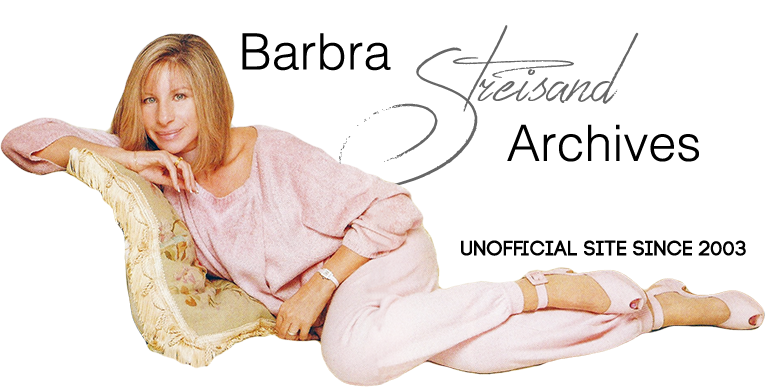 Sipping tea and coughing throughout the show, Streisand—despite her bout with laryngitis that forced her to reschedule some California shows—still turned in an amazing opening night performance when The Concert premiered in San Jose on June 7, 1994. 10. I always wanted to spend four hot, muggy days in San Jose in the middle of July. 9. I was trying to work out Dan Rostenkowski's* plea bargain. 8. I didn't know it would take a whole week to dust all this furniture. 7. I was at home waiting for the cable guy. 6. I hurt my voice yelling, "Yabba Dabba Doo!" 5. I wanted to get Barbra Streisand tongue depressors into the boutiques. 4. There was a shoe sale at Nordstrom's. 3. I thought my concert tour needed more publicity. 2. It took me three days to read Dan Quayle's new book—and four days to correct the spelling. 1. Every time I started to drive here, I got sidetracked and drove to Disneyland instead. * Rostenkowski was indicted on corruption charges in 1994 for his key role in the House post office scandal.